I've been out of the loop for the past week and a half online, so my apologies for not having posted for a while. While it's not stamping related, this is a quick "shout out" to all my friends south of the border who are enjoying their Memorial Day long weekend. Enjoy, and I'll be back again tomorrow with stamping fun! Despite their name, our Simply Scrappin' Kits are not just for scrapbooking! On Wednesday, we'll be making 15 fun and easy cards using the Sunny Day kit. Big ones, skinny ones, tall ones, small ones... all kind of fun & cheerful cards that you can customize for any occasion. I only have 2 spots left for this class (1pm or 7pm) so please let me know if you want to join us! "Sunny Day" Simply Scrappin' Kit Card Class! On Wednesday May 19th, we’ll be using the delightfully cheerful “Sunny Day” Simply Scrappin’ kit to whip together over a dozen fabulous cards with matching envelopes! Be sure to sign up for either the 1pm or 7pm class and come have a blast with us! Join us for a fun stamping evening together! Saturday night is TEAM night again :) It's time for our monthly "Canadians, INK!" gathering for stamping, fun, door prizes and treats... did you want to join us? If you want to RSVP a spot, please email and I'd love to have you here. 7pm is our start time... just bring your scissors & adhesive, a small treat to share and your enthusiasm. You'll find out just how much fun it really is being a Stampin' Up! demo!!! Save up to 60% with your online order! Have you visited Stampin' Up! 's CLEARANCE RACK at their online store yet? There are some amazing deals there on retired products up to 60% off the regular price. These deals can only be ordered online through my store so be sure to nab them before they go! I'm also offering May's tutorial for all orders and class participants: a 23-page "Spotlight on Style" Card Set plus a bonus Circle Scissors Plus tutorial, all in .pdf format. This tutorial showcases using the BRAND NEW Elements of Style stamp set from the Summer Mini Catalogue to create this Coordinating Card Box and 4 cards. You'll enjoy the convenience of having stylish and versatile cards on hand when you need them! Create this set of four all occasion cards as many times as you want, for as many occasions as you want. Birthday, thank you and other notes are at your fingertips when you make this stylish set that features four different ways to use our very elegant satin ribbon. The handy box template can be used over and over again. So keep this set for your own use, or give it as a thoughtful wedding, shower, graduation or birthday gift! The rich colours and elegant satin ribbon make fabulous all-occasion cards perfect for keeping on hand for quick notes and last minute occasions. Demonstrator Training Event with Ronda Wade! Stampin’ Palooza – Demonstrators ONLY Evening Event... featuring Ronda Wade! This exclusive Friday evening event is offered for Stampin' Up! demonstrators only, as a special evening of business motivation and stamping. Our featured presenter is the fabulous Ronda Wade from Laingsburg, MI! 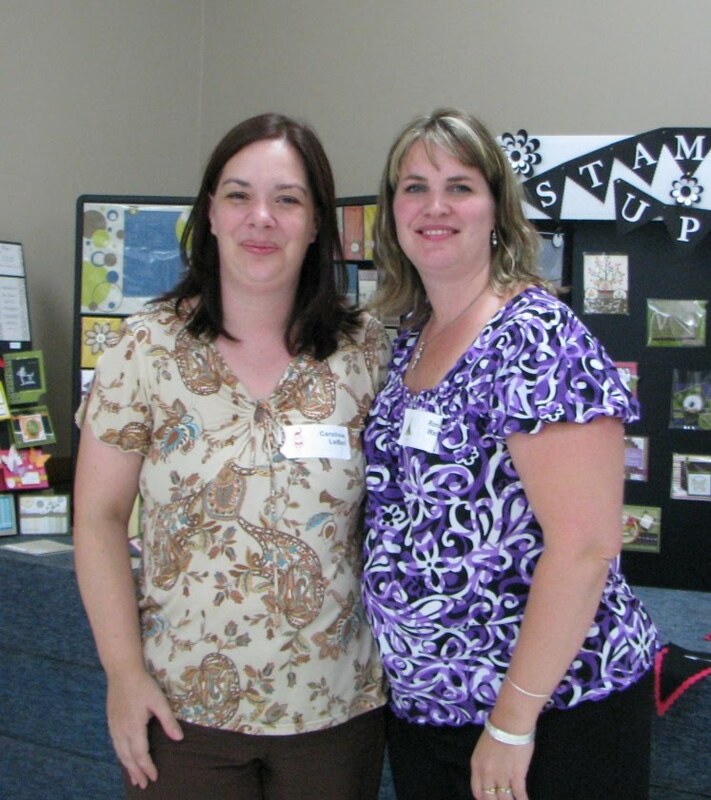 This top-ranked US demonstrator has been with Stampin' Up! for 9 years, has been in the top 10 for 8 of those, and #1 for 3! She is a fabulous speaker and we're so honoured to have her come to Toronto to join us. There will also be new display boards (so bring your camera! ), Make & Take projects using the Summer Mini set “Watercolor Trio”, yummy snacks & beverages, and great door prizes too! Don’t miss out on this great opportunity. Information on the All-Day Saturday Spring ‘Palooza event can also be found HERE. Spring 'Palooza is just a month away! Our fabulous Spring Stampin' Palooza event is coming the first weekend in June, so be sure to snag your ticket soon! We have a fabulous new location at Victoria Park Ave & St. Clair Ave E (with wheelchair access) and just like for the February event, we are limiting attendance numbers so everyone has LOTS of room to spread out and craft in style. Your registration fee includes the 7-piece stamp set "Watercolor Trio" from the new SUMMER mini catalogue, in your choice of either wood or clear mounted, materials for your 6 Make & Takes, as well as breakfast, lunch, beverages, a goody bag and 5 raffle tickets. Oh yes, and don't forget that fabulous afternoon ice cream sundae bar we have planned! *NEW* Stampin' Up! demos now have a less-expensive ticket option which does NOT include the stamp set, so you can order it yourself. Did you know we have over $500 in Stampin' Up! product we are giving away, as well as a BIG SHOT MACHINE???? It's true! 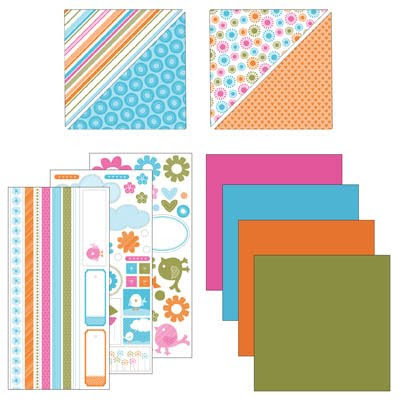 Plus great goodies to buy, including our super popular card & scrapbooking kits! Our featured presenter for both the Saturday all-day event and the Friday evening demonstrator night is the fabulous Ronda Wade from Laingsburg, MI! 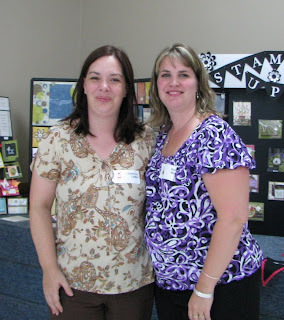 This top-ranked US demonstrator has been with Stampin' Up! almost 9 years, has been in the top 10 for 8 of those, and #1 for 3! She is a fabulous speaker and we're so honoured to have her come to Toronto to join us in June. More details & tickets can be bought online HERE or by contacting me directly. Be sure to check out the new SUMMER MINI catalogue, featuring all kinds of fabulous new stamps, accessories and papers, as well as this handy video highlighting some of the goodies you can now play with! Shop NOW to order all of YOUR new favourites! National Scrapbooking Month - Part 2: the special! Take your scrapbooking to a whole new level with stamps! It's National Scrapbooking Month - part 1! To help kick off National Scrapbooking Month, here's a video with Stampin' Up! 's Carrie Cudney for you! Be sure to visit again tomorrow to learn more about Stampin' Up! 's NSM special!